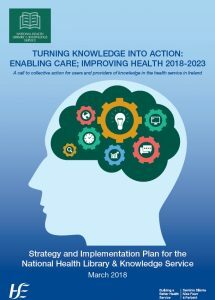 The new National Health Library and Knowledge Service strategy ‘Turning knowledge into action: enabling care, improving health 2018 – 2023′ was launched today by HSE Director General Tony O’ Brien. 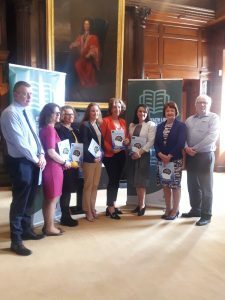 The strategy, which was launched in the Edward Worth Library, Dr Steevens Hospital sets out a roadmap for the development and expansion of an integrated national knowledge service. 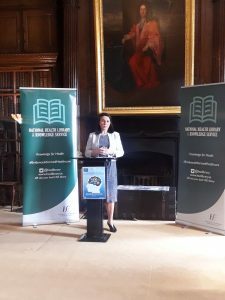 The strategy and implementation will be delivered in two phases with the next two years laying the foundation for delivery of our integrated national services. 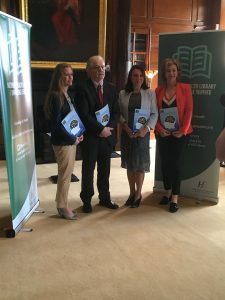 Central to delivery will be the the establishment of five national virtual teams; Knowledge Search and Summary Service, Digital Knowledge Service, Knowledge Broker Service, Information skills development and a coordinated network of library sites and resources.